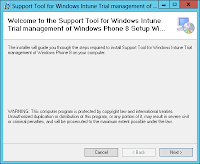 On 30/05/2013 Microsoft release a package that allows administrators to test Windows Phone 8 management via System Center 2012 Configuration Manager (ConfigMgr) and Windows Intune. 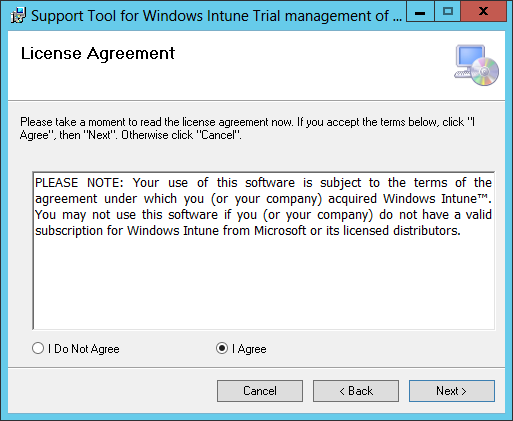 Previously the only way to test this feature was to purchase a Windows Phone Dev certificate which involved signing up as a developer at $99 and then purchasing a Symantec certificate at a further $299. 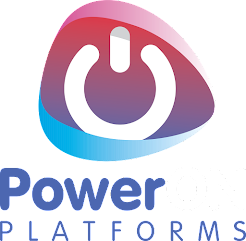 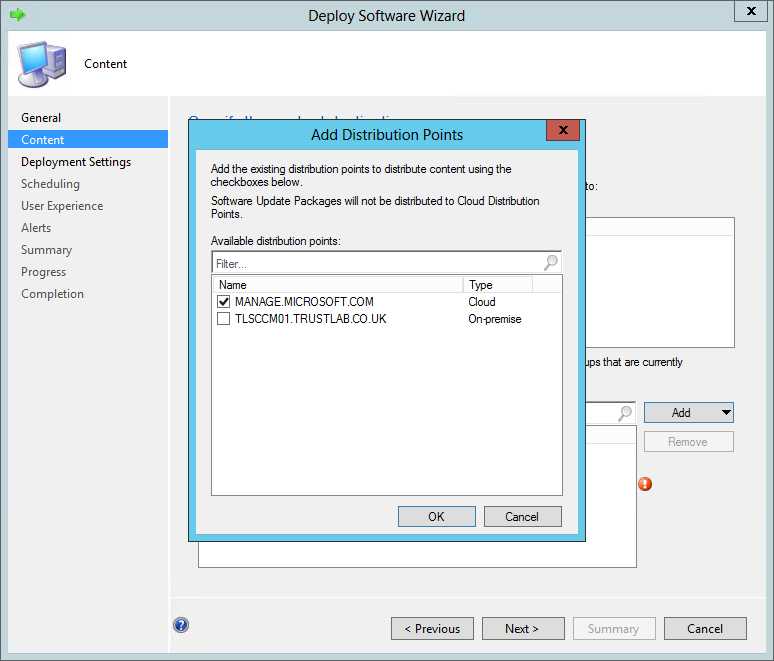 Now you can download this package from Microsoft which includes a pre-signed Company Portal, a script to set the relevant settings in ConfigMgr with a temporary token and also a couple of sample applications. 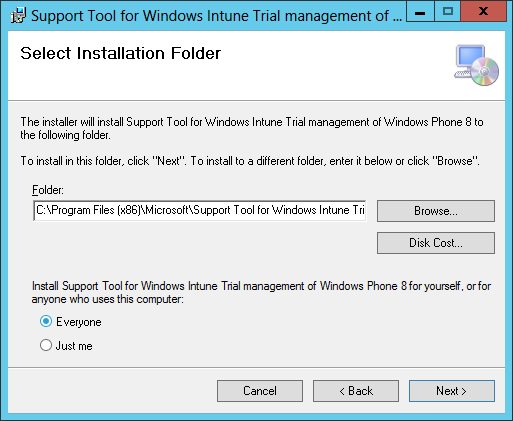 After downloading the MSI, run through the install which basically just extracts the files to a folder. 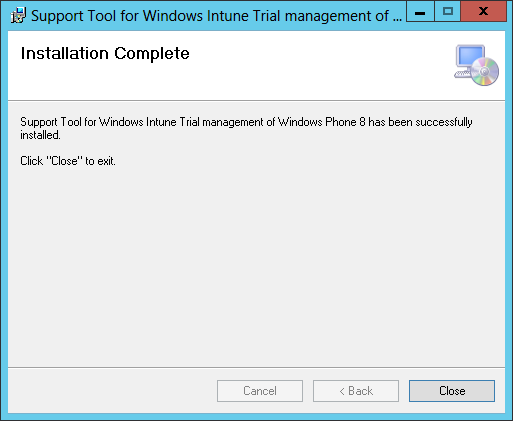 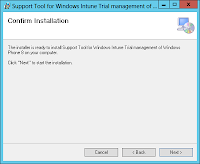 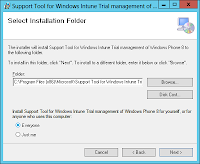 By default this is - C:\Program Files (x86)\Microsoft\Support Tool for Windows Intune Trial management of Windows Phone 8. 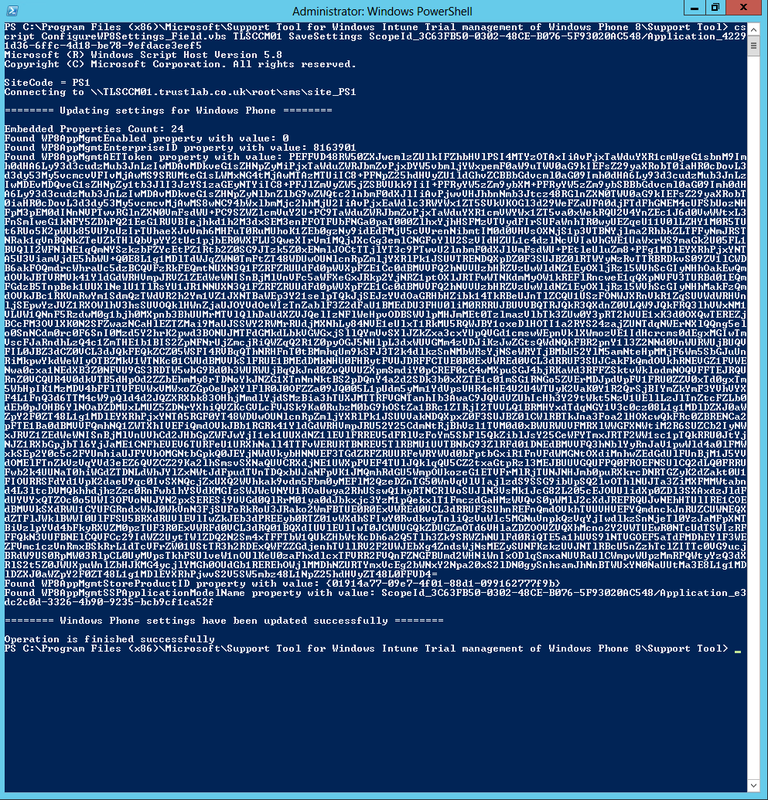 Copy the SSP.XAP from the package extraction directory to a UNC available path. 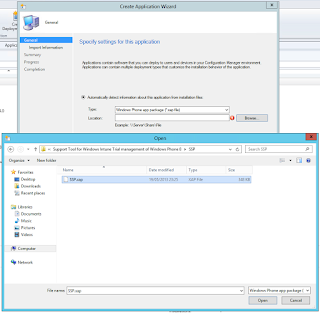 Watch out for the default name of the application and ensure you rename it to something a bit more friendly. 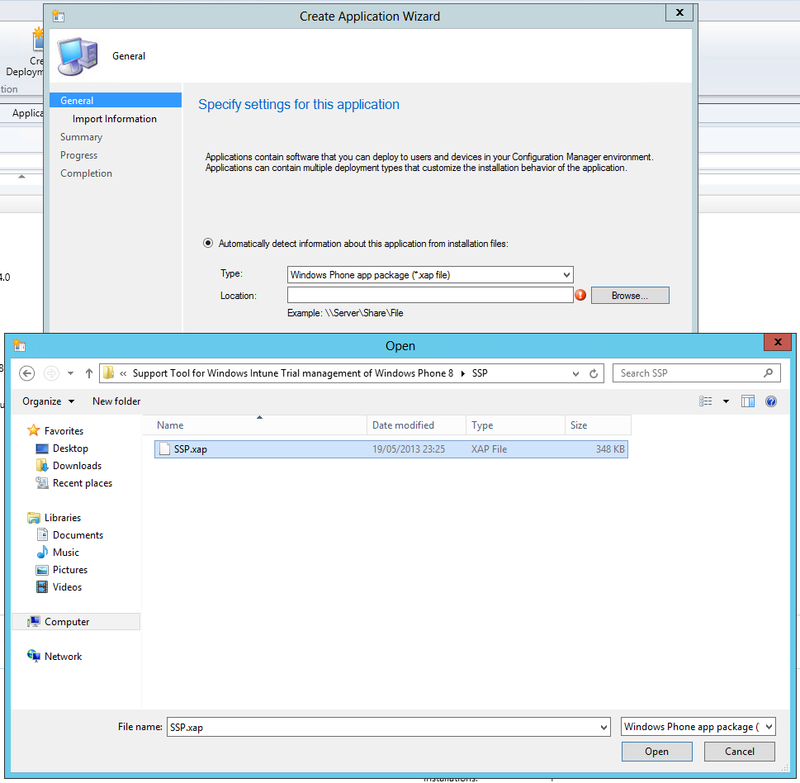 The result looks something like this "ScopeId_3C63FB50-0302-48CE-B076-5F93020AC548/Application_42291d36-6ffc-4d18-be78-9efdace3eef5". 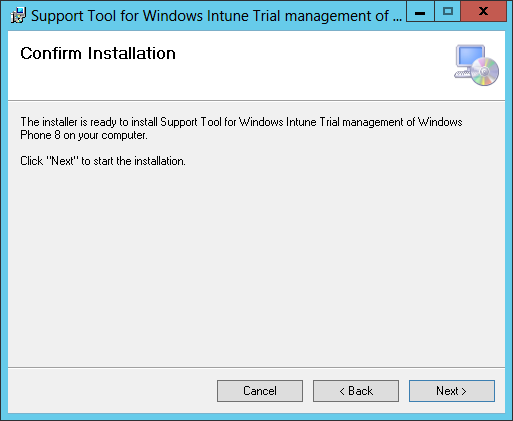 This output will be used in the next step. 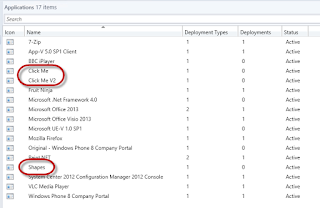 Run the script ConfigureWP8Settings_Field.vbs in save mode this time with the SSP name result. 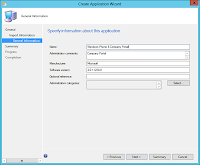 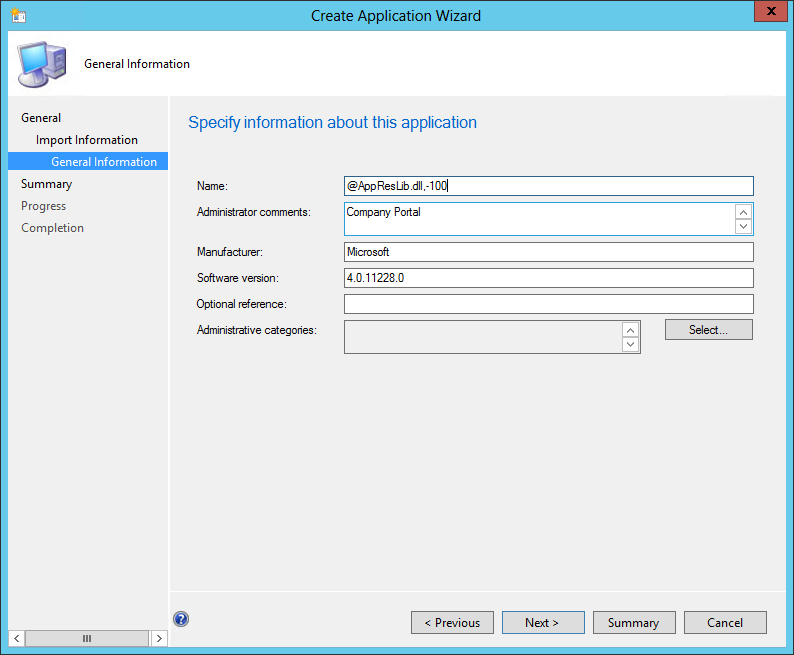 where <Company Portal name> is the output from the earlier step. 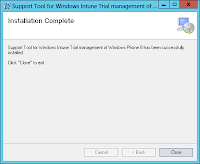 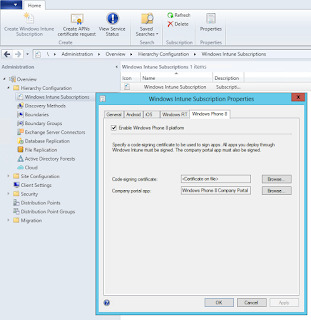 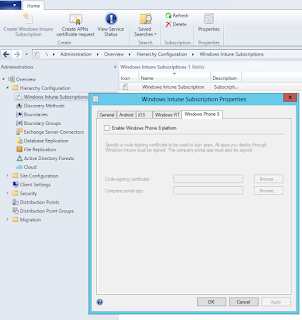 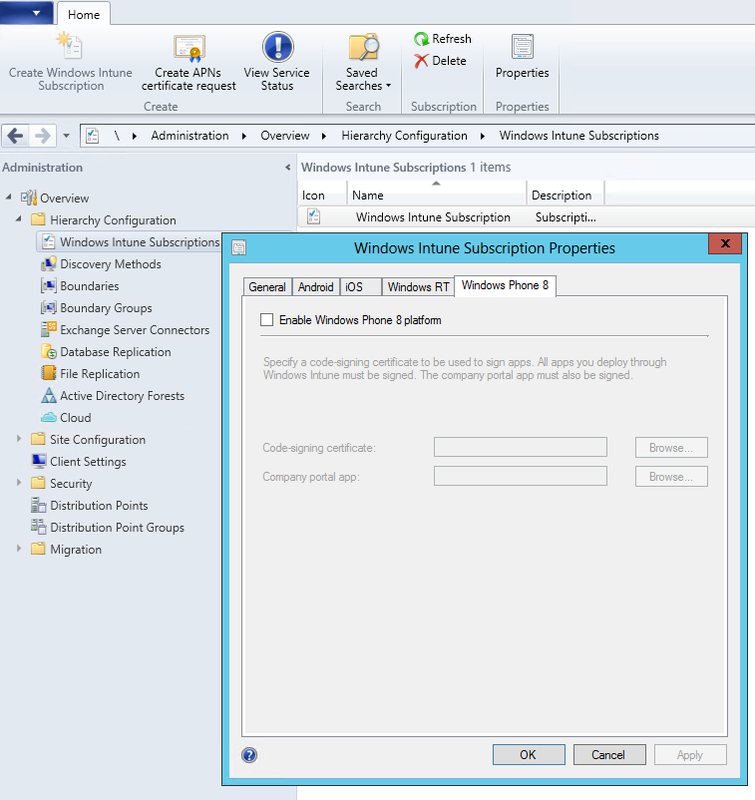 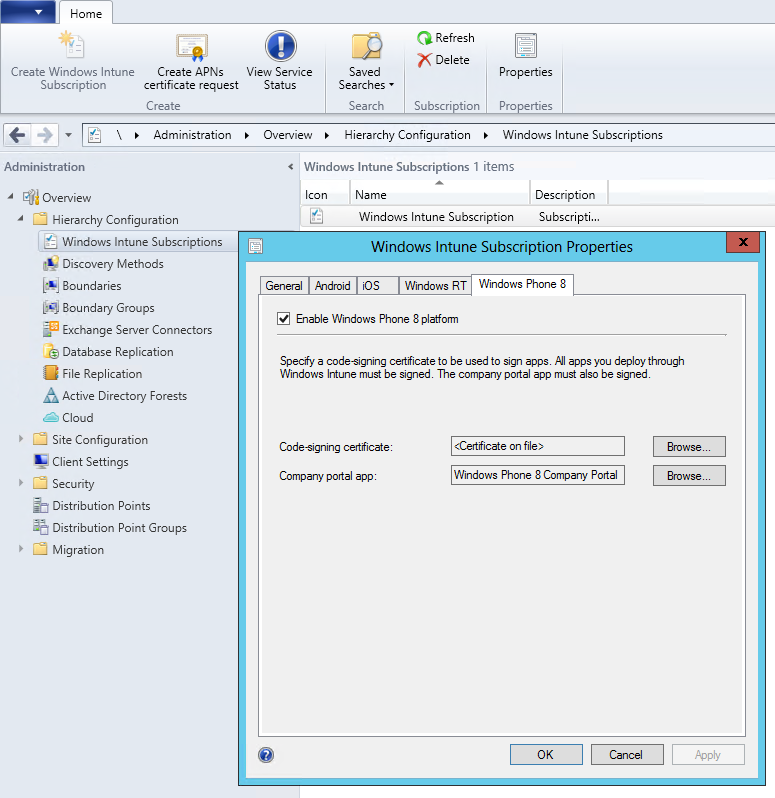 After completion of the steps above, verify that WP8 device management is enabled by checking the ConfigMgr console by going to the Intune subscription properties, WP8 tab. 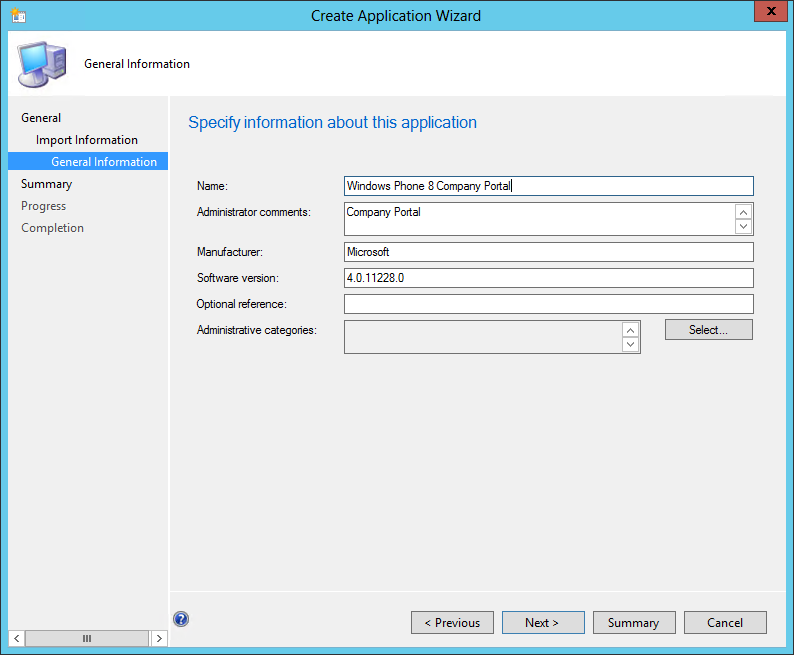 WP8 should be enabled, certificate should be present, and company portal app should be populated with the name you gave the Company Portal app when you set it up. 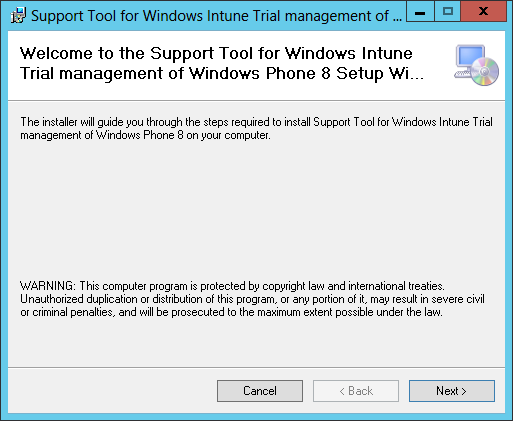 Assuming you have users sync'd up to the Intune/Azure directory and the UPN's match the accounts known by ConfigMgr, you should now be able to enrol users on their Windows Phone 8 devices. 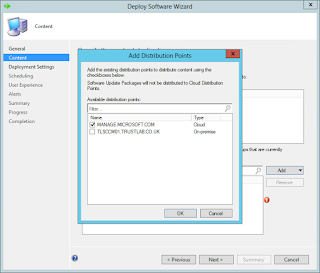 Also included in this new package is some sample apps so that you can import something straight away for testing! 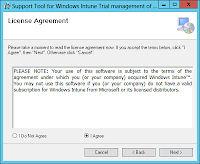 thanks for this guide, it is very useful. 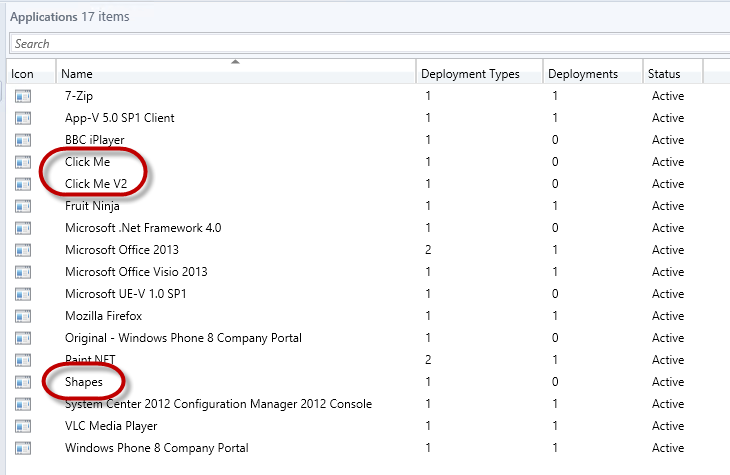 I have hit a problem though, the whole signing / enrollment procedure works fine but when I try to distribute the portal it shows as 'Host platform not applicable' in the deployment status. 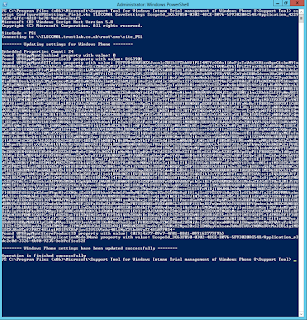 any ideas?